2016 was career defining for Latmun, with all 3 EP’s breaking into the top 10 on the Beatport Tech House releases. This started off with his ‚Def‘ EP on VIVa, which received support from scene heavyweights like Skream, Claptone, Claude Vonstroke, Mathias Tanzmann, Steve Lawler and many more, it still continues to soundtrack the biggest festival stages today. The Dance & Bop EP on Wow! 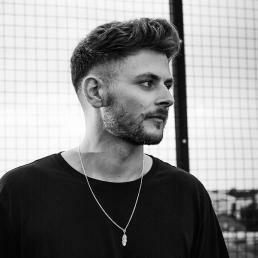 Recordings had similar success and carrying on the momentum through to his most recent offering via Leftwing & Kody’s Lost Records. ‚Cosmic‘, the titular track shot all the way up to number 5 in the top 100 tracks chart, showing he earnt being named one of the stand-out artists of 2016. The most exciting project came about when Green Velvet asked him to remix his seminal classic – Flash – alongside the likes of Eats Everything and Oliver $. Considering the relatively short time he’s been in the limelight, he’s already made a lasting impression. Latmun is an all round lover of music, the rest can be denoted by virtue of listening and experiencing what he brings for yourself. With regular appearances in acclaimed venues such as Ibiza’s DC10, Manchesters Warehouse Project and many more; Latmun is sure to be creating moments and sharing experiences on a dancefloor near you.